Patrick Whitefield shares a lifetime's knowledge of the myriad interactions that go to make up the fascinating and varied landscapes we see all around us. He will inspire you to reconnect with the land as a living entity, not a collection of different scenery, and develop an active relationship with nature and the countryside. 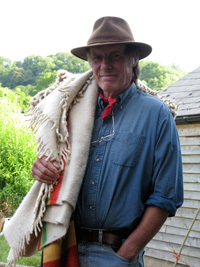 The Living... TIPI LIVING by Patrick Whitefield £6.95 Permaculture teacher Patrick Whitefield lived in a self-built tipi in Somerset for eight years. Books specifically about Permaculture, or about a subtopic of permaculture such as forest gardening, sustainable finance, alternative building methods, etc.